Petit mal seizures are more common in pets than we can imagine. There are hundreds and thousands of cases reported in which the pet is suffering from petit mal seizure. These are just those cases reported in United States alone; you cannot imagine how many dogs are suffering from this hideous disease worldwide. Worse case is when people do not understand what their pet is going through. It is observed on most of the public forums and web answers that pet caretakers ask questions whether their dog is suffering from a petit mal or it is some other health issue. Health of our pet is in our hand, they will suffer but they cannot say it in words, understand their behavior and do something more quickly. Following are given some symptoms that will help you detect whether your dog is going through a petit mal seizure or not. A very important factor to be noted is that there is variation in symptoms shown by the dogs of different breeds. The symptoms will not be same in all kind of dogs, so if your friend’s dog showed one symptoms and your dog is showing another do not take it lightly. Only a vet can tell what problem your pet is suffering. It is better you let him do his work and stop guessing condition of your pet. Most common symptom is shaking of the head. It is observed that dogs wills shake head in to and fro direction like they are saying “no no” to something. This can last for a minute or a minute and a half; just keep check on your pet. Another symptom is too often tilting of the head. Suddenly the pet will stop and lie down on the floor or will tilt his/her head in one or other direction. The dog might start trembling uncontrollably, he will be shaking constantly until the seizure last. 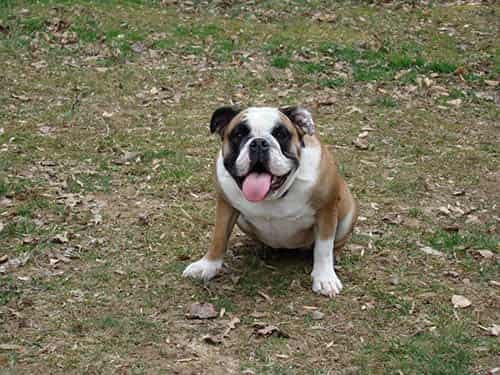 Your dog might feel difficulty in standing and will fall down on the floor seeming like he is sitting quickly. Another symptom is going blank. The pet will gaze in space. Continuous blinking and arching of the back is another symptom of petit mal seizure. How can one differentiate between dissociative episode and petit mal seizure? very difficult topic on petit mal seizures for dogs because as you said it differs by breed and also of course depends on the experience of the owner..
My German shepherd is epileptic.. He usually has grand mal seizures though he’s not had any since the end of October last year. King Doberman has gone from Grand Mal Seizures to Petit Mal seizures. So sad to see a Grand Mal, although seizures in general are difficult, this is much better and they are over quicker. He used to have Grand Mal every 8 weeks, now he is having Petit Mals every 3 weeks. He has seen a Canine Nuerologist. Barbara. can you suggest what has caused your King Doberman to go from Grand Mal seizures to Petit Mal seizures? Where would I find a Canine Nuerologist? I am sorry that King is suffering and hopefully there is some medications that can help him and my Seigmund. Seigmund is a miniature Schnauzer. I tried different dog foods but he seems to do better on fresh cooked chicken, Rice and other vegetables. I keep him well groomed and bathed twice a month. He is my treasure, just as your King is your treasure. What about vitamins? My beloved miniature Schnauzer is having seizures and he is now experiencing seizures. Yes, it is difficult and alarming to see him going through this. He is 10 years old and first started having seizures last year in 2016. The seizures last approximately 4-6 minutes and then he will slowly respond back to being normal. Our Pet doctor prescribed some medications for him, and he was doing fine for four months. While he was on the medications, he did well and once the medications stopped, the seizures came back. Would like to hear from others how their pets reacted and how they responded. Is there some kind of special food for miniature schnauzers that might help them from having the seizures or vitamins? My heart breaks in to pieces when these totally unexpected seizures happen and I want him to be treated to maybe stopping these seizures but if not, what steps would help or what foods may help and also medications. Please put your dog back on the seizure medication!